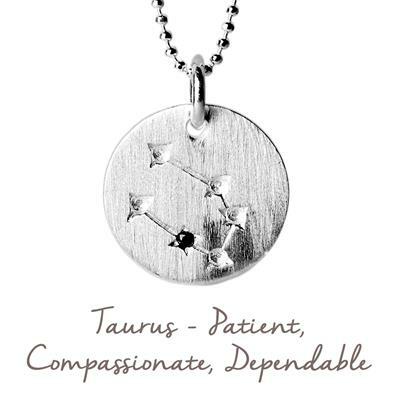 This stunning Sterling Silver necklace reflects the alignment of the stars upon the wearer's birth, with an engraving of the Taurus Star Map and black Cubic Zirconia detail. Still waters run deep with this earth sign, symbolised by the bull. Those born under Taurus (20th April- 20th May) are known to be highly emotional under their strong exterior. They are able to be down-to-earth, while appreciating the finer things in life. Express your inner strength, and connect to your astrological identity, with this beautiful Star Map necklace.